Product management as a part of the product development process began to crystallize only a few years ago. Before 2014 the majority of product managers were not even aware of the existence of product management tools. Now, with a range of tools that are already on the market, there is still no unified software to “rule them all.” Product managers still use non-specialized soft (like Excel) to fulfill product management tasks or have to combine multiple instruments – for product management, agile and roadmapping, programming, sales, and marketing. Hygger.io is a first software that combines product management, agile and general-purpose productivity tools in one convenient solution that even non-programmers can easily use. The software is designed for product companies to help them enjoy the benefits of all three categories without the need to deploy anything except the one tool – Hygger.io. Specifically, Hygger.io helps product managers to gather external feedback from users and customers, as well as internal ideas from top managers or other team members. All inputs like suggestions, questions and bug reports are consolidated in one place and can be prioritized accordingly to the most profitable strategy. At the same time, focus on prioritization simplifies managing the product roadmaps. What features are crucial for the next release? Which ones can wait? The roadmap can be shared with other developers and stakeholders for better collaboration, clear understanding of the overall course, and achieving common ground between marketing, development, and HQ. Furthermore, Hygger is powered by time tracking, swimlanes, WIP limits, Sprints with Burndown Charts, and Velocity Reports. So there is no more need for third-party agile-oriented product management solutions like Jira or PivotalTracker. 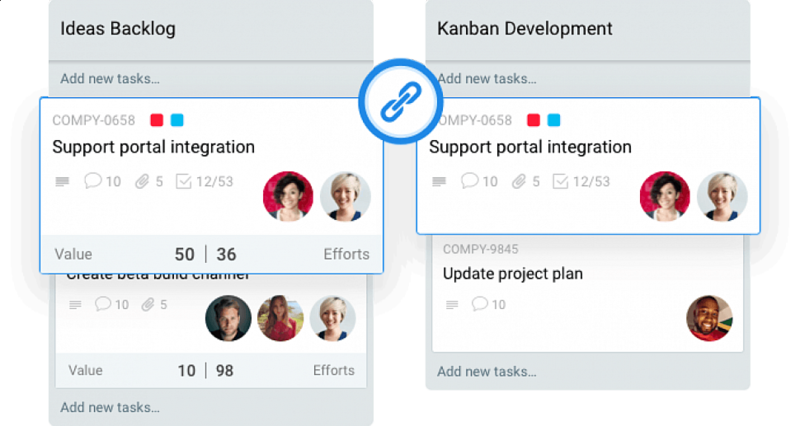 One more important complement: Kanban boards in Hygger are suitable also for non-tech-savvy people, and thus can be used in wide variety of spheres even outside real development. “In essence, Hygger is the first and currently the only one software for product companies that completely addresses all their needs in planning, prioritization, and roadmapping, as well as helps feature development with Kanban or Scrum,” says Alexander Sergeev, CEO and Founder of Hygger. Hygger offers two pricing plans. The Standard plan starts from 7$/month per user and provides all significant functionality. The Enterprise plan starts from $14/month per user and includes some additional features like timesheet reporting, multiple projects per board, branded workspaces and other. The Hygger company was founded in 2017. The name originates from ‘hygge,’ a Danish and Norwegian word for a range of emotions associated with coziness, wellness, and safety. Hygger aims to bring Kanban and Scrum development methods to various activities beyond development and programming.